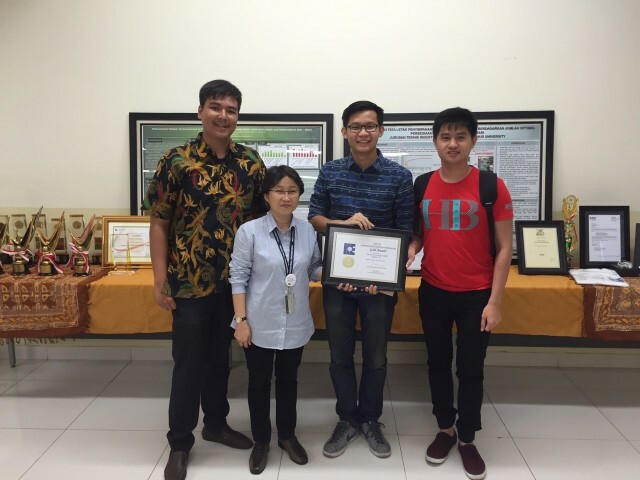 Congratulation to Institute of Industrial Engineers BINUS University Student Chapter for maintaining the Gold Award in three consecutive years. Tremendous support from everyone, especially our IISE staff and members are our main assets to achieve the Gold Award. Thank you for the support especially through your active involvement in our activities, as well as constructive and encouraging feedback we continuously received which allow us to become a professional and prestigious student organization in Southeast Asia. Activities are yearly assessed by the IISE headquarter in Atlanta who determine the eligibility of an IISE Chapter to receive the highest award, the Gold Award. 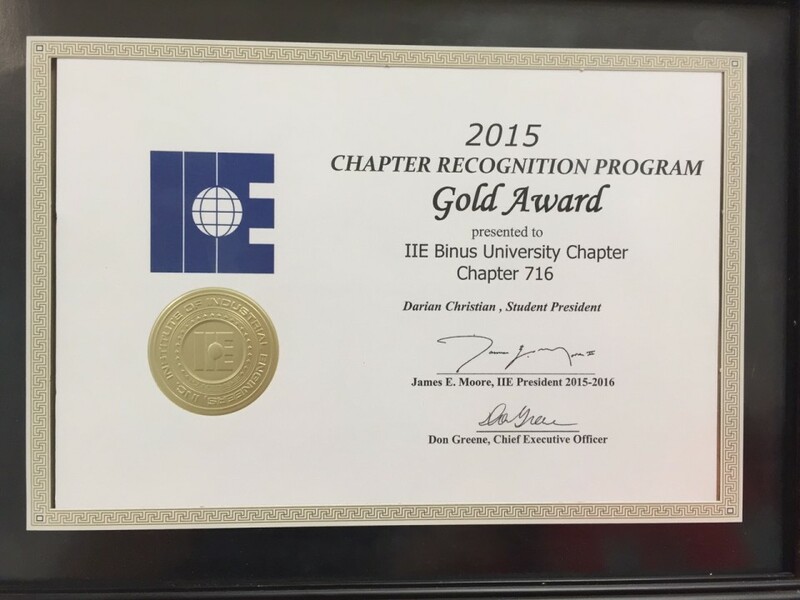 For the 2014 UCAR, our IISE BINUS University Chapter becomes one among 26 other universities worldwide entitled for the 2015 Gold Award. It is an honor for us, IISE BINUS University Chapter, to be able to maintain our achievement. The achievement will not be plausible without our members’ involvement and IISE staff’s never-give-up-spirit in providing the best for the members and of course our beloved Industrial Engineering colleagues in BINUS University. Interested to know more about our awesome IISE Student Chapter? Contact to 08387575572 (William Gunawan) for more information. Join and grow together with us to create better future Industrial Engineers.